BAH is situated near Agra, Uttar Pradesh, India on State Highway 62 around 70 km from Agra city and around 55 km from Etawah. Its geographical coordinates are 26° 52&apos; 12" North, 78° 35&apos; 51" East. Three rivers, Yamuna, Chambal and Utangan irrigate its land and separate from the states Madhya Pradesh and Rajsthan. 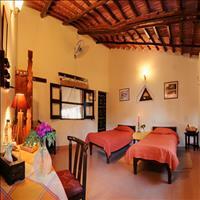 It was founded in 1700 by Maharaja Mahendra Kalyan Singh of Bhadawar and was called Kalyanbah. Its name was later corrupted to Bah, which means flow of water. Extreme Climatic conditions. Hot in Summers and cool to very cold in winters. The National Chambal Sanctuary (NCS) is a 400 km stretch of the river Chambal and a 1 to 6 km wide swathe of the ravines on both sides of the river, covering an area of 1235 sq. km. • The Chambal Ravines (altitude 200-500m) are the product of centuries of soil erosion by flood and rain waters. They form an incredible maze of intertwining mud cliffs, with tropical dry scrub forest vegetation, that provide shelter for numerous birds, mammals and reptiles. • Ancient Indian texts refer to the Chambal as the Charmanyavati - originating from the blood of thousands of cows sacrificed by the Aryan King Rantideva. 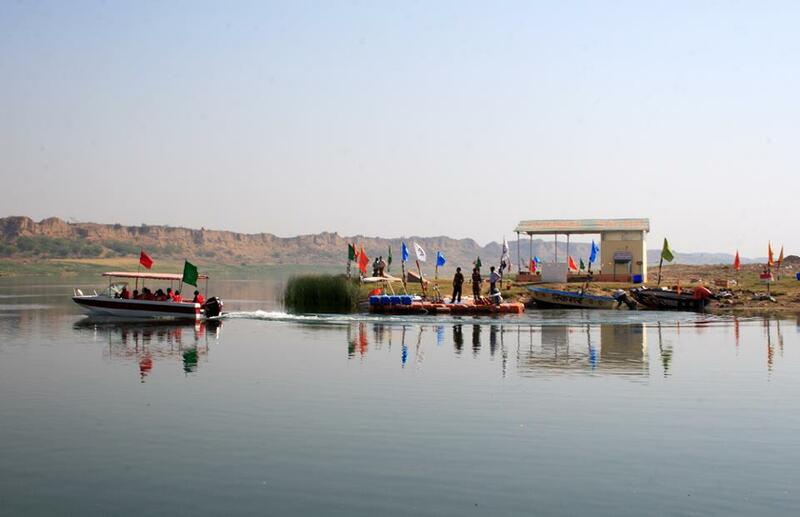 Its ‘unholy’ origins have certainly helped the Chambal survive and thrive untouched and unpolluted, and it remains one of India’s most pristine rivers. 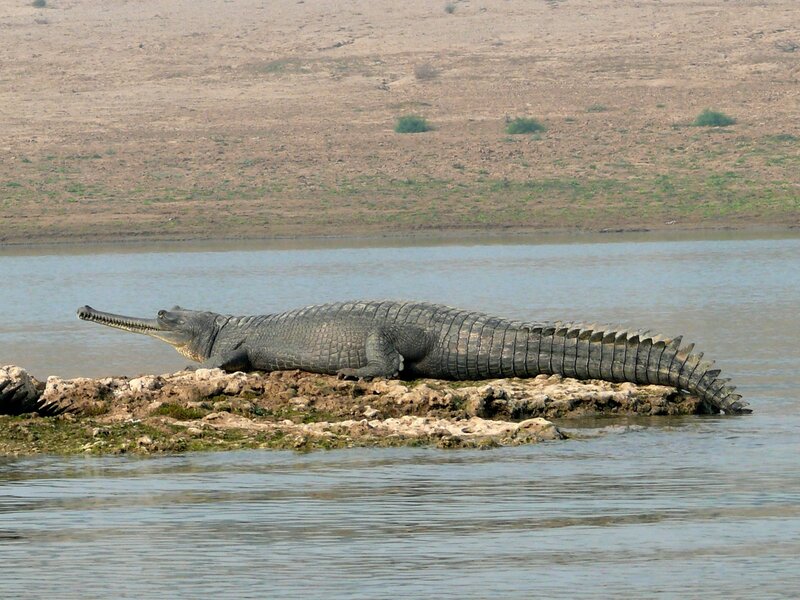 • Granted Protected Area Status in 1979 to help revive Gharial populations decimated by indiscriminate poaching, the NCS is an IUCN Category IV (Managed Nature Reserve) lying in the Indus-Ganges Monsoon Forest belt. • The Sanctuary begins downstream of the Kota barrage in Rajasthan. 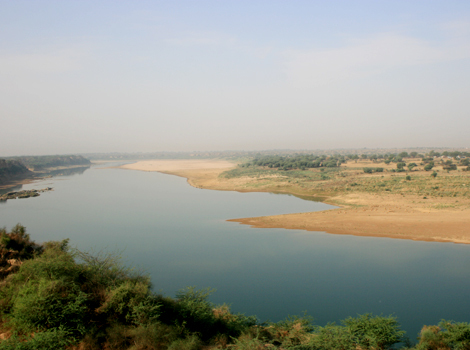 The sanctuary’s lower limit is near Panchnada, approximately 5 km after the confluence of the Chambal and the Yamuna at Bhareh, in Uttar Pradesh. • The NCS is one of the last surviving habitats of the Gangetic River Dolphin. 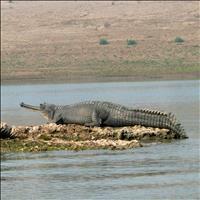 • Provides protection for 1200 Gharials & 300 Marsh Crocodiles. • Home to eight species of Turtles. • Home to Smooth coated Otters. • The Sanctuary boasts of a rapidly increasing and impressive bird list of over 330 species of resident and migratory birds and is gaining a reputation as one of the most reliable places to see the Indian Skimmer.